Baan Thai Restaurant signs a new lease for 2,200 square feet in the East Bradford Shops in East Bradford Township, PA.
Kennett Square, PA (Chester County) – May 31, 2012 – R.J. Waters & Associates, Inc., Southeast Pennsylvania’s premier development, management, leasing, and brokerage firm, has leased 2,200 square feet of retail space in East Bradford Shops to Baan Thai Restaurant which will open in the Summer of 2012. East Bradford Shops is located at the intersection of Bradford Avenue (Rt. 52) and Nields Street in East Bradford Township, PA. The approximately 44,000 square foot Shopping Center is anchored by Walgreen’s Drugs and a Goddard School. R.J. Waters & Associates’ Fran McDonnell represented the landlord in the transaction. R. J. Waters & Associates, Inc. is a commercial real estate development, management, leasing, and brokerage firm located in Southeast, Pennsylvania. 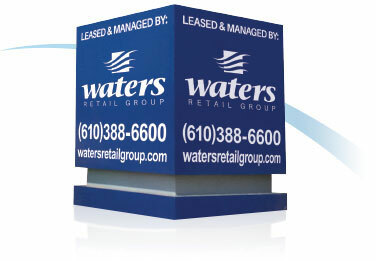 R.J Waters & Associates, Inc. manages and leases 22 neighborhood shopping centers throughout Pennsylvania, Delaware, and Virginia. Collectively, we manage over 2.4 million sq. feet of retail space, catering to the needs of over 350 tenants. Please visit our website at www.rjwaters.com.